Select a Tire Group to find out more out the Tire you are interested in. The Quatrac 3 SUV is based on the top qualities of the Quatrac 3. The extra wide tread ensures improved road holding and provides more stability while retaining comfort. Due to the double rayon carcass layer and an extra sturdy belt, the tyre has greater load-bearing capacity making it highly suitable for heavier SUV cars. The striking asymmetrical, non-directional profile with the separate summer and winter sides provides safety and comfort in all weather conditions. The Quatrac 3 SUV has superb handling characteristics on both dry and wet roads. It is an all-season SUV tyre with perfect grip and excellent self-cleaning properties, making it suitable for road use in all conditions. The Vredestein Ultrac SUV Sessanta is an uncompromising SUV tyre for the Ultra High Performance (UHP) segment. 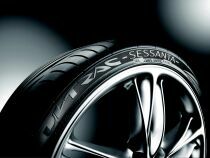 Based on the strong points of the Ultrac Sessanta, the Ultrac SUV Sessanta is equipped with an extra wide tread. This ensures better road holding and greater stability, whilst maintaining a high level of comfort. The Ultrac SUV Sessanta features a double rayon carcass layer and a strong belt. These give the tire a higher load capacity, making it ideal for the heavier SUV cars. Tread pattern and sidewall have been created by Giugiaro Design giving the tire a unique, contemporary look. 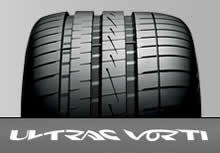 The Ultrac Vorti is an Ultra High Performance tyre in the absolute top segment of the market. The tyre was developed in close collaboration with the Italian design company Giugiaro, and its slimline design and asymmetric profile give this tyre an extremely sporty and unique appearance. The tyre excels in terms of grip, handling, comfort and braking behaviour on both dry and wet road surfaces. By making use of innovative technologies, the tyre is also surprisingly quiet. The Ultrac Vorti is also available in rear axle sizes with an adapted profile and specially-tailored structure, especially for sports cars that have different tyre sizes on the front and rear axle. Due to the fact that it is the front tyres that dissipate the majority of the water when the road surface is wet, the focus for the rear tyres was on increased grip and stability. 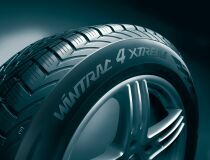 The WINTRAC 4 XTREME is the first high performance SUV winter tire to carry the signature of a top designer. Giugiaro’s innovative design and sleek lines give the W-shaped tread a powerful appearance. 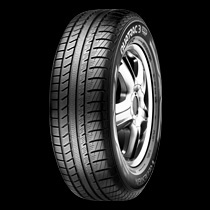 The tyre reflects the latest developments, offering you the very best in design, safety and comfort. The WINTRAC 4 XTREME has excellent on-road properties, but also features a number of important all-terrain characteristics. For instance, the tread has good self-cleaning properties, resulting in an excellent performance on wintry and unpaved roads.